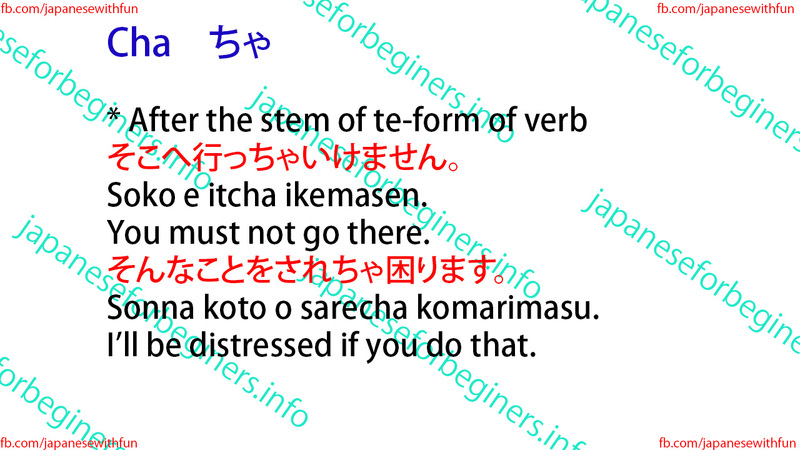 It is used after the stem of te-form of verbs whose dictionary form ends with -う-u, -く-ku, -つ-tsu, or -る–ru. 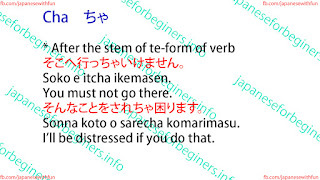 It becomes ja (the informal version of dewa) after the stem of te-form of verbs whose dictionary form ends with -ぶ-bu, -ぐ-gu, -む-mu, or -ぬ-nu. Sonna koto o sarecha komarimasu. I’ll be distressed if you do that.